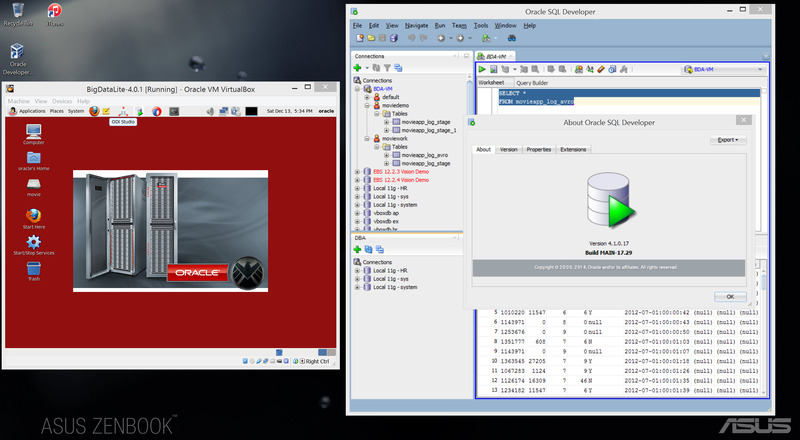 As a regular user of #SQLDeveloper, I decided to go ahead and check v4.1 EA1 connectivity to the Oracle Big Data Lite VM. The good news is that it works. 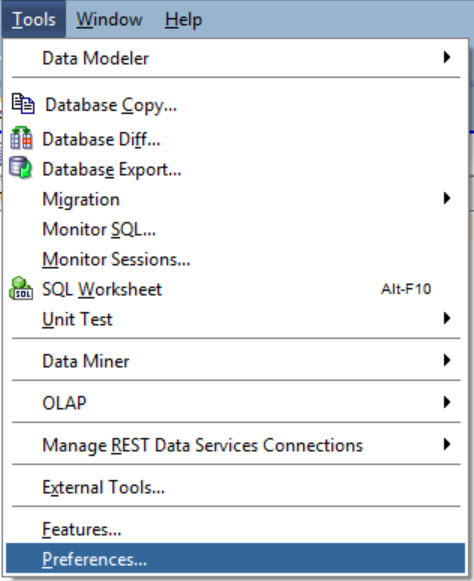 The better news, is the steps are the same for the SQL Developer 4.0.3, the most recent GA release. If by chance, you haven’t already come across a “How-To” on this configuration, here’s how I have on my Win8.1 machine. You can follow these steps for both releases. Let’s assume you’ve got SQL Dev 4.0.3 or 4.1 EA1 installed. Next is to download the Big Data Lite VM. You can find that on the Oracle Technology Network site here. 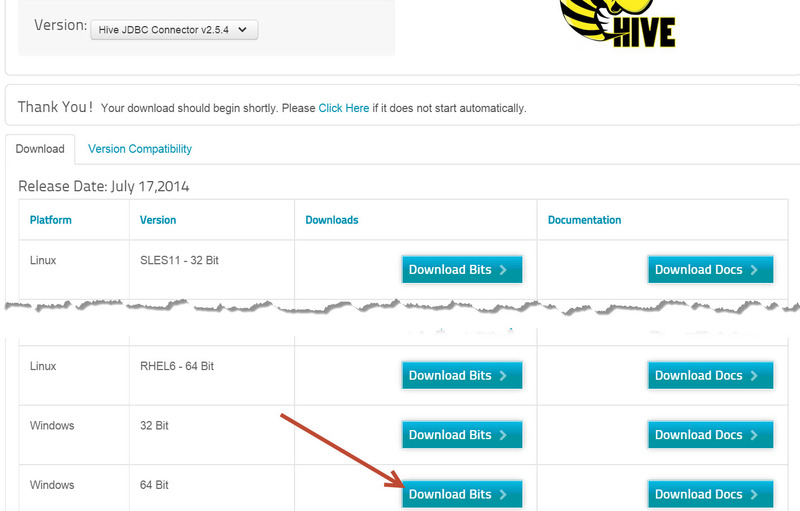 You will also need to download the connectors for HIVE from Cloudera. The version I used can be found here. You might be presented with a screen asking for contact information. Anyway, after downloading the HIVE connector, unzip in a location that can be accessed by SQL Developer. I typically create a folder in the SQL Dev folder for this. Now that we’ve got the file unzipped, we will add them to the 3rd party drivers sections in SQL Developer. Click the Add Entry… button, browse to where you unzipped the JDBC drivers. 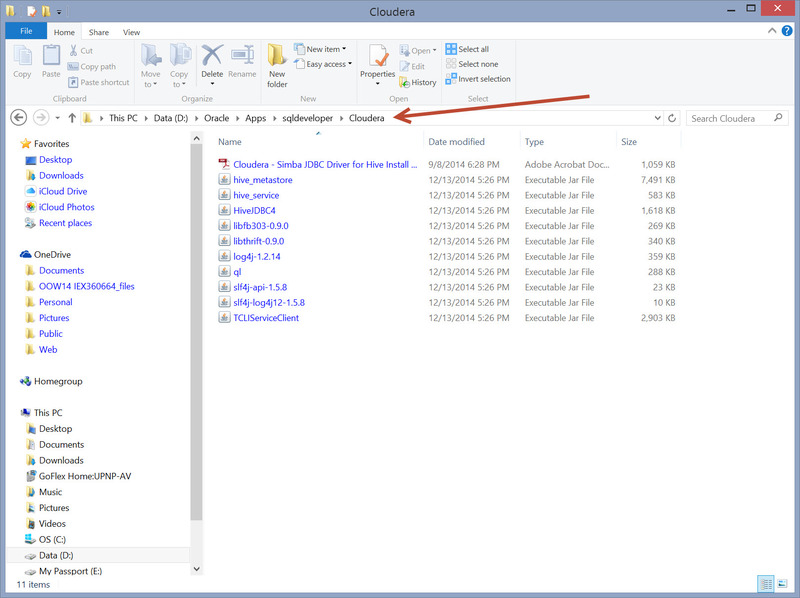 To save you from counting, add all of the files in the Cloudera folder. Click OK, and there you have it. 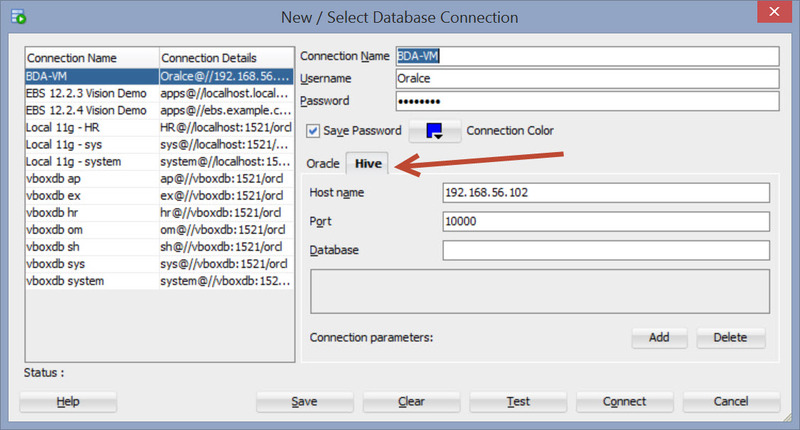 Magically, the New/Select Database Connection screen has a tab for Hive. A few things to note on this screen are the Host Name and the Port. For the Host Name, I am using the IP address from the Big Data Lite VM. You can find this using the ifconfig config from a terminal screen in the VM. The Port number 10000 is the default port. Simple enough right? In case you missed it somewhere, default password for the Oracle user is welcome1. Once this is set up, check your connect by clicking the Test button. If you see success, save this connection. I typically go ahead and check the Save Password box, but that’s your choice. With everything configured correctly, I connect and log into the Hive and now I can query the data using SQL Developer. Note, that this is using an Early Adopter version of SQL Developer and requires JDK 8. If you need directions for doing this on MAC O/S, check out my friend Bobby Curtis’ post over here.